San Francisco bay area has a rich history of filmmaking going back to the late 19th when Eadweard Muybridge demonstrated the moving picture of a horse to Leland Stanford, founder of Stanford University. In the early 20th the bay area was home to the Silent Film industry and Niles Canyon near Fremont was home to Essanay Studios that hired Charlie Chaplin and made “The Tramp” in this area. Here is an article I wrote for Open magazine in 2009 about Niles Canyon and the silent film industry and how the west coast won the war against Thomas Edison’s monopoly of the film. And 100 years later filmmaking is back in the bay area in a new way – think online streaming and Netflix. THE LARGE white letters spelt ‘N-I-L-E-S’ reminded me of that other famous sign: ‘H-O-L-L-Y-W-O-O-D.’ I often wondered about the startling similarities between these two signs, both perched on hillsides, and if there were any deeper connections. I finally gave in to curiosity and took a detour to venture into a street that looked straight out of an old western. Niles Boulevard, the main street, had mostly antique stores on one side and a railway track on the other. And way above the track was the sign I’d come to know so well. My eyes caught the Charlie Chaplin figures on the lamp posts. Why Chaplin? Intrigued, I drove on, looking for clues, and found my answer. The sign read: ‘Niles Essanay Silent Film Museum.’ It wasn’t open. I returned over the weekend and headed straight there. Inside was a treasure trove of information and what to me was a long-lost connection between Niles and the US film industry. Before Lucas Films, before Apple, before YouTube, (and now Netflix) there was the Essanay Film Manufacturing Company—a ‘new media’ pioneer in its day. All that remains today in mute testimony to its work is this museum and some artifacts that do a marvellous job of recreating past glory. Even a hundred years ago, it seems, the San Francisco Bay Area was a startup zone. Never heard of Essanay? Then you may have seen its films. Remember the silent Bronco films? Or, better still, Chaplin’s “The Tramp“? Essanay played a pivotal role in the comic genius’ career. 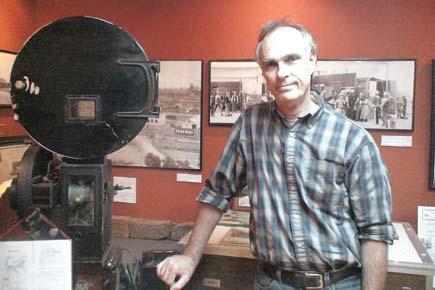 According to the museum’s historian David Kiehn, it was “the most successful film company [in the Bay Area] until Lucas Films came along.” George Spoor and Gilbert ‘Bronco Billy’ Anderson, the company’s founders, were classic startup guys. They took a chance in the early 1900s when nobody had a clear understanding of the new medium that was cinema. Both were in their 20s, and already had colourful resumes in the nascent film industry back east. Anderson had moved to New York to act in Broadway, was broke by 18, and staged a comeback as a bit actor in “The Great Train Robbery,” made by Thomas Edison. Spoor, on the other hand, was a business guy. He made his money as a film distributor. Spoor was the doer and Anderson the creative one, a true Jobs-and-Wozniak duo. They took a gamble against all odds, and they did it without business plans, without Powerpoint presentations and without mission statements, making their fortune in an industry that was in the chokehold of one man—Thomas Edison. Yes, Edison played a key role in inventing much of the early technology and camera equipment for those early films. By the early 20th century, he not only owned most patents on motion picture cameras, he used his east coast Edison Studios to turn out films with regular periodicity. By tightly controlling the way his patents were used, Edison was the presiding patron of every aspect of cinema, stifling innovation and hampering growth. In 1908, Edison formed the Motion Picture Patents Company (MPCC), which brought together a handful of film producers, including Essanay. The joint agenda was to restrict others from entering the film industry. So it enforced a strict regime of licensing and regulation of film making and distribution. It also had an exclusive arrangement with Eastman Kodak for that precious material to make films: raw film stock. While independent filmmakers like Carl Laemmle and William Fox scrounged, MPCC members were rolling in celluloid. The MPCC monopoly was challenged in court. In 1915, MPCC lost a landmark case when the Supreme Court ordered that non-MPCC members be granted access to restricted equipment and material. West coast piracy played a role in subverting Edison’s regime, no doubt, but it was this legal change, and the new cinema that came of it, that put MPCC out of business and shifted America’s film industry to California, which was home to independent filmmakers. Essanay, branching out of its Chicago headquarters, established a studio at Niles in the San Francisco Bay Area. It was nearing the peak of its film production years and was ill-prepared for the tectonic shifts that were taking place in the film industry. It had just taken Chaplin under its wing, raising his pay from $150 a week at Keystone to $1,500 a week with a hefty bonus to boot. 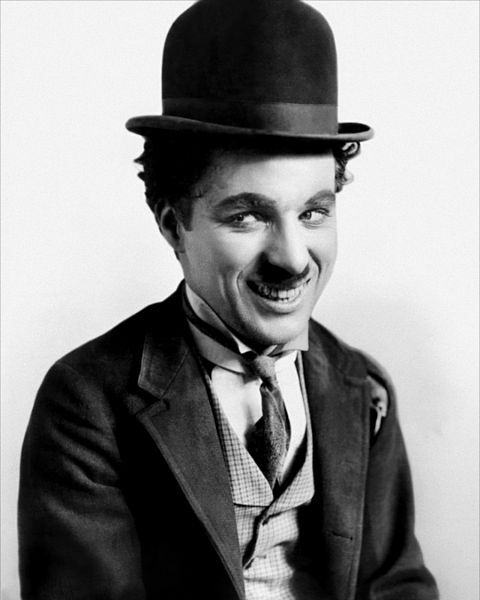 Chaplin worked with Essanay from 1914 to 1916 and made about 11 films, five of which were made at the Niles studio. It was during his stint at Niles that he met his leading lady Edna Purviance, who acted with him in “The Tramp,” his 41st film. Ironically, Chaplin was not a happy camper in Niles. He pined to get away from north California to LA in south California, where the cinema action was shifting. Chaplin left Essanay in early 1916. Around this time, Anderson was also itching to do things differently. He wanted to make feature-length films, says Kiehn, but Spoor didn’t want to switch to the new format. So Anderson sold his share of the studio to Spoor for $500.000. By the time Spoor shut the business down and retired in 1918, he had $4 million in the bank. During its short span of existence, Essanay made hundreds of silent films and released new films every day of the week, rolling in millions of dollars in profit. But Spoor and Anderson were unable to use their success to make the transition to the next level—feature films with sound. Ironically, 100 years later, the equation between technologists and content creators is similar, but only deceptively so. In today’s entertainment market, it is Internet formats like YouTube that have skirted copyright law and are pushing established studios and filmmakers to embrace change. Back then, technologists had to be drawn kicking and screaming by content creators to adapt to market preferences. Now, as 21st century Internet ‘independents’ reshape the scenario, it seems quite the reverse. Content creators, who’re supposed to have a feel for the audience pulse, are the ones seen as being resistant to the liberation of media assets. Techies are the new liberators. Will entertainment content become available anywhere, anytime and on any device? There is once again that heady mixture of cutting-edge technology, entrepreneurship and regulatory pressures. This time round, with the audience also part of the fight. Yet, what stays unchanged is this: it is content that must ultimately engage the audience. Everything else is a matter of technical detail.Who knows what would have happened to Niles, for instance, if Spoor had only agreed to entertain Anderson’s idea of making feature-length films? Indeed, all this was a lot to mull over as I stepped out of the museum into a warm spring afternoon and headed back home, past the letters that spelt N-I-L-E-S.